Just across the Waterfall Way lies New England National Park. It's pretty big. 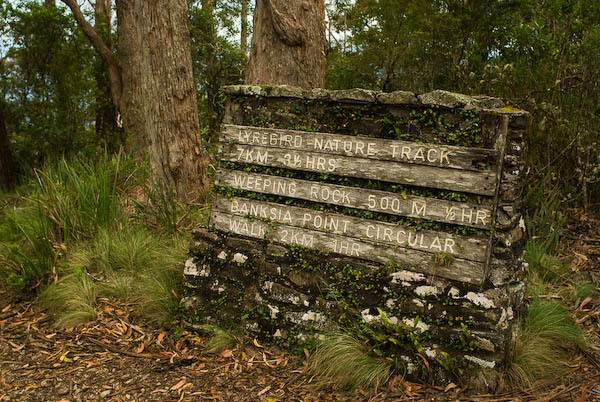 I pulled into Thungutti campground in the morning and did a day walk from there, heading over to Point Lookout then down off the plateau on the Lyrebird walk past Eagle Nest lookout Weeping rock. It was a really nice walk and a great way to see several different aspects of this part of the park. There was some interesting information at Point Lookout - about how this whole area was created by the 'Ebor Volcano', the centre of which is somewhere in the middle of the park called The Crescent. It's really clear if you look at the river drainage patterns which radiate from this point. Whilst doing the latter half of the walk, which was down below the edge of the escarpment, I heard numerous Sphagnum frogs (Philoria sphagnicolis) which sound kind of like a grumbling stomach or a golf-ball rolling into a hole. I was even lucky enough to find a nest with a foamy mass of eggs and attendant female! These frogs typically call from within the splash zone of a small waterfall or where water is trickling and dripping down the rocks. I spent most of the next day at Dangars Falls south of Armidale, which is in the northern part of Oxley Wild Rivers National park. I thought I'd seen most of the types of landform around here but the gorge here was another thing all together. That's one of the most striking things about this part of the world - the diversity. So many types of landforms and biological communities within a pretty small area. I hadn't heard a lot about this area but now I couldn't recommend it more to anyone thinking of visiting! It was a chilly night but I headed out for a walk anyway. In the pools along the creekbed were Dwarf Treefrogs (Litoria fallax) as well as more typical creek frogs, the Broad-palmed rocket frogs (Litoria latopalmata) and Stony Creek Frogs (Litoria wilcoxi). I also spotted a couple of Rock Wallabies here - it's apparently a pretty strong refuge for them and there's even a section of cliff that's got a dog-fence around it to protect them. 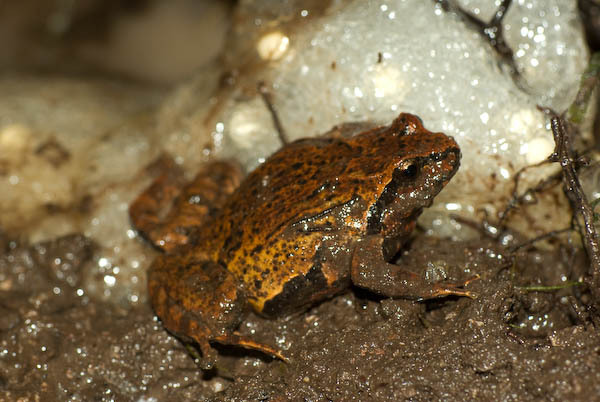 Another interesting note - I heard Fletcher's frogs (Limnodynastes fletcherii) and Beeping froglets (Crinia parinsignifera) calling from somewhere beyond a fence. These are what I would consider 'western' species so I'm obviously sort of on the edge of the distribution of these guys. Don't forget to check out the photo gallery!